If you've got only 24 hours to explore Dubai, that's unfortunate. But this guide will help you get the most out of your day, and night, in one of the world's trendiest cities. 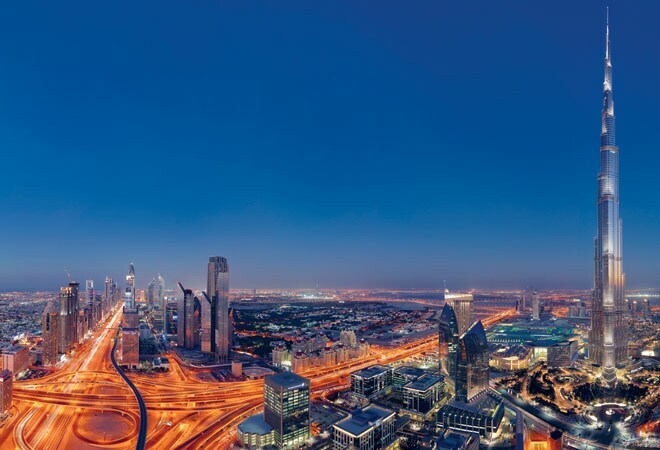 Determinedly modern, Dubai's character is an amalgam of the thicket of skyscrapers it harbours within its small territory and the traditional, ethnic roots that it still hasn't lost sight of. There's plenty to do in this city, which rose from the sand to create an oasis for itself-from awe-inspiring, manmade islands to the world's tallest building, you will leave wanting a bigger slice of this Emiritian pie. Jumeirah is the best place to stay during your short stopover in Dubai. Both the beach and the main city with all its tourist attractions are accessible from here. 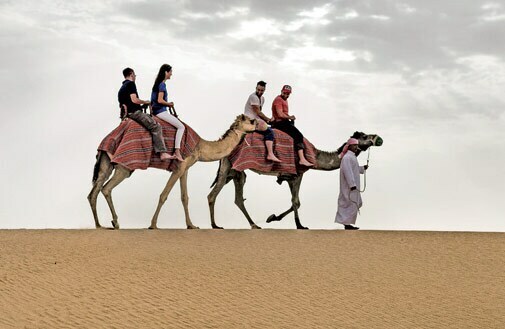 After a quick breakfast at the hotel, get a rush of adrenalin by dune bashing in the Arabian Desert. There are plenty of safari operators in the city (read up reviews on TripAdvisor and talk to your hotel before choosing one), who take you to various locations and levels (of thrill) in the desert for sand bashing. But the old adage of "you get what you pay for" holds true here. The more dirhams you are willing to shell out, the better will be the quality of the car and the guide, safety levels, and cleanliness of the dunes. After the safari, give a rest to your sufficiently rattled bones and muscles and give your mind a chance to experience vertigo at its most extreme by going atop the world's tallest building, Burj Khalifa. 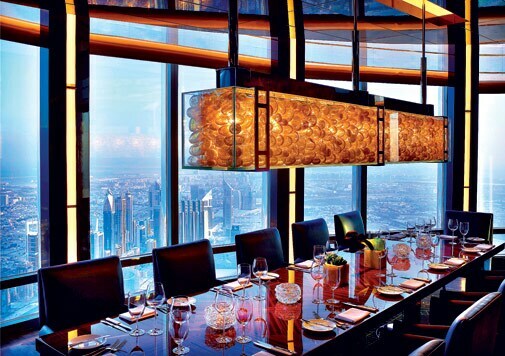 Take in the vast expanse of skyscrapers dwarfed by Burj Khalifa, from the observation deck, before treating yourself to a luxurious meal at At.mosphere. It holds the record for being the world's highest restaurant from ground level. About 500 dirhams will ensure you a window seat and a fantastic lunch experience. A quick tip-the restaurant's washroom has one of the best views, so don't skip a trip. Insider tip: Book your tickets a couple of days in advance to get the time slot you want. Also, it is really not worth going up during a sand storm because the view will be completely obscured. For an unparalleled shopping experience, flag a cab and putter off to The Dubai Mall, barely a two-minute drive from Burj Khalifa. With over 1,200 stores, the world's largest mall is undoubtedly a shopper's paradise. But it is also so much more. 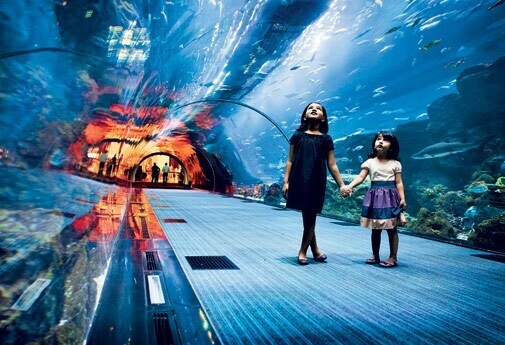 Home to a suspended aquarium, an underwater zoo with penguins and crocodiles, a spectacular fountain that shoots water jets as high as 150 metres, an Olympic-size ice rink, an infinite number of eateries and a 22-screen cinema hall, it's a world within itself. Even a reluctant shopper can easily spend a couple of hours in this gigantic mall. Keep up the glitz and glitter momentum by making your way to the dazzling Gold Souk. Gold enthusiasts will know that Dubai is known for the cheap prices of this sought-after metal and there is no better place for hard bargaining than this souk. Located in the heart of Dubai's old town, Deira, Gold Souk has all kinds of stores-from established brands such as Damas and ARY Jewellery, to smaller, hole-in-the-wall retailers. A walk through this city of gold is a must, even if you have no intention of buying. The sheer variety of gold (and platinum and silver) is mind boggling. From here, weave through the quaint lanes of the Bastakia Quarter, a true odd-one-out part of the city, still preserved like the quiet fishing village that Dubai could have been. The vibe here is quiet and artsy with many art galleries hugging the corners of the scattered alleyways, and cafes with open courtyards offering hearty meals. Once here, be sure to check out XVA Gallery, which is home to a small but spectacular collection of artworks by critically-acclaimed artists. A daring feat of engineering which is visible even from space, Palm Islands, built along the coastline of Dubai, is the perfect symbol of the ambitions of this city. The fully completed island, Palm Jumeirah, is shaped in the form of a palm tree topped by a crescent. The other island, Palm Jebel Ali will also have the same shape once completed, and the third island, Deira Island, is in varying stages of development. From swimming with dolphins (only possible if you stay at the iconic Atlantis Hotel) to skydiving, the islands are an exciting beehive of activity. Drive through the rows of top-notch private villas, each with direct access to the beach, to soak in the life of the uber rich or have a light snack at one of the many fine dining restaurants of the five-star hotels lining the beach. Move on to Jumeirah Beach, a pristine stretch of white sand, to catch the sunset and settle down for drinks at 360», a circular rooftop bar. By now, you must have realised there is nothing modest about this city. And yet another indication of its over-the-top way of living is the number of fine-dining restaurants it has. But plenty of cheap eateries run parallel to the Michelin-starred dishes in Dubai. From celebrity chefs Gordon Ramsay and Gary Rhodes offering global cuisine, to legendary street food havens like Al Reef Bakery and Bu Qtair with their cheap (think under 60AED) but mouth-watering treats and slick service-they all represent the multicultural melting pot that Dubai is. Qbara it is the perfect place to cap off the day.